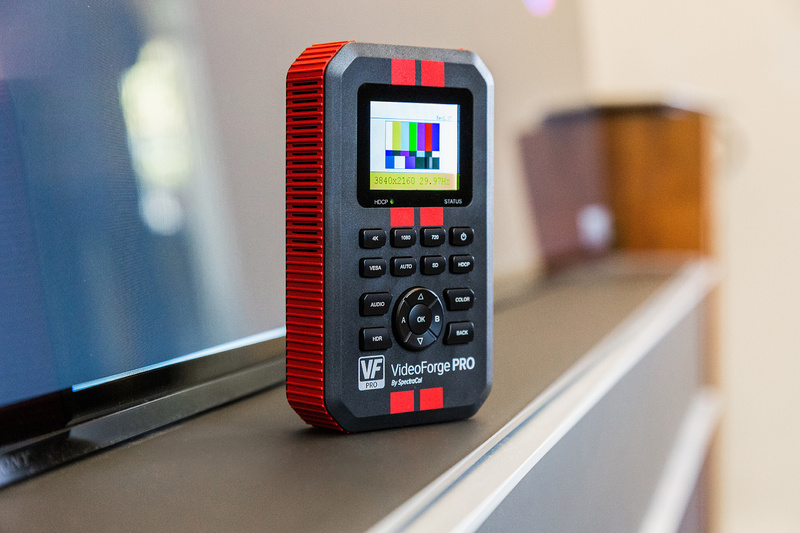 Calibration may be a term that is initially associated with home cinema projection, but it is also relevant to television. The calibration of a TV sets is a service that we have been offering for many years. Trained with the new Level III from ifs (Imaging Science Foundation), we want to and can extend this even further by buying a new TV from us. We have taken a look at the most important aspects of television calibration. Calibration may be a term that is initially associated with home cinema projection, but it is also relevant in the TV sector. The calibration of TV sets is a service that we have been offering for many years. Trained with the new Level III from ifs (Imaging Science Foundation), we want to and can extend this even further by buying a new TV from us. What exactly is behind the TV calibration we will look at below. How does such a calibration work? First of all, it should be said that we calibrate all our current TV models. The exception to this are the sets from the manufacturer Loewe and at Sony only the new 9 series can be calibrated. The calibration itself takes about 1 to 2 hours. If you buy a new one, you can also book the calibration in the store and we will deliver your TV to your home. 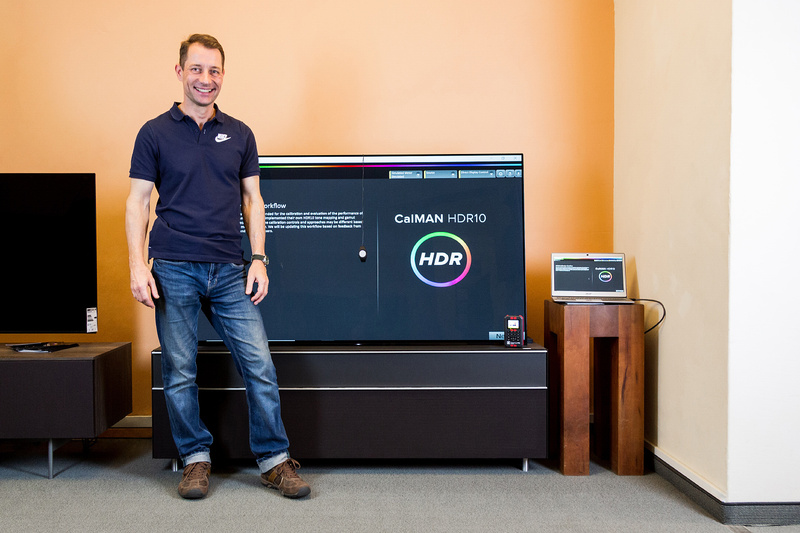 But what exactly do we offer and what does calibration mean for your TV set? In the classic way we offer the SDR (Standard Definition) or HDTV calibration. This is responsible for everything that concerns DVD, Blu-ray, cable and satellite TV. 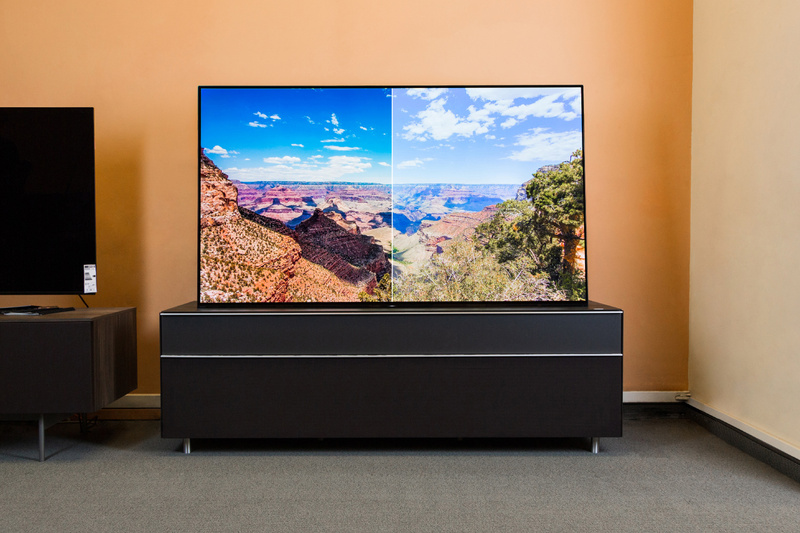 The extended calibration includes HDR (for all UHD Blu-rays, Amazon Prime Video, Netflix, Apple TV), Dolby Vision (Netflix) and HLG (Hybrid Log Gamma). It gets exciting with the equipment you use for a calibration. Our most important tool is CalMAN’s software, with which we can adjust the colors to fit exactly. This software also adjusts the gamma gradient so that you can still see tracer lines even in dark areas (such as the contours of a black couch in front of a black wall). 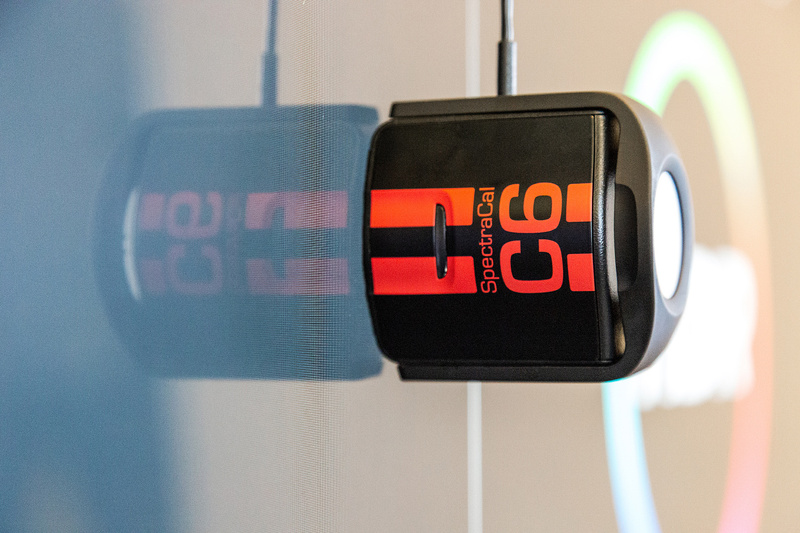 As a measuring sensor, we again use a so-called colorimeter, the SpectraCal C6 HDR2000 light measuring device. Also from SpectraCal we have a test image generator that feeds the images. The test images can be used to adjust sharpness, brightness, and contrast. 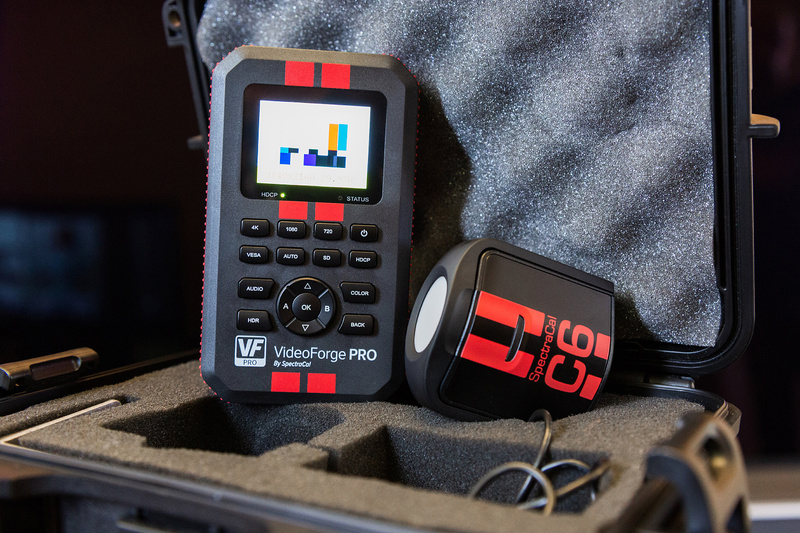 Finally, VideoForge PRO is the physical pattern generator used for troubleshooting and calibration. When the calibration is complete, you will receive a postal protocol with the measurement results, indicating which color profile we have calibrated. Should it happen that the television has to be reset to factory settings, the calibrated data can be easily restored. Therefore we document the settings with photos. LG is the only manufacturer that can write the new color profile directly to the firmware chip. Thus, after a reset, the new settings remain unchanged. When the calibration is carried out on site, for example at your home or office, we also look for the devices that are connected to your TV. This means that we also include Blu-ray players or AV receivers in the overall picture in order to have a range of devices that fit together ideally. In this way, your TV and the rest of your equipment are ideally matched to the local conditions, because the location of your TV influences the picture parameters. We offer our calibration service for new equipment and for models recently purchased from us. If you have any further questions about the calibration of your TV, our TV team will be happy to assist you.